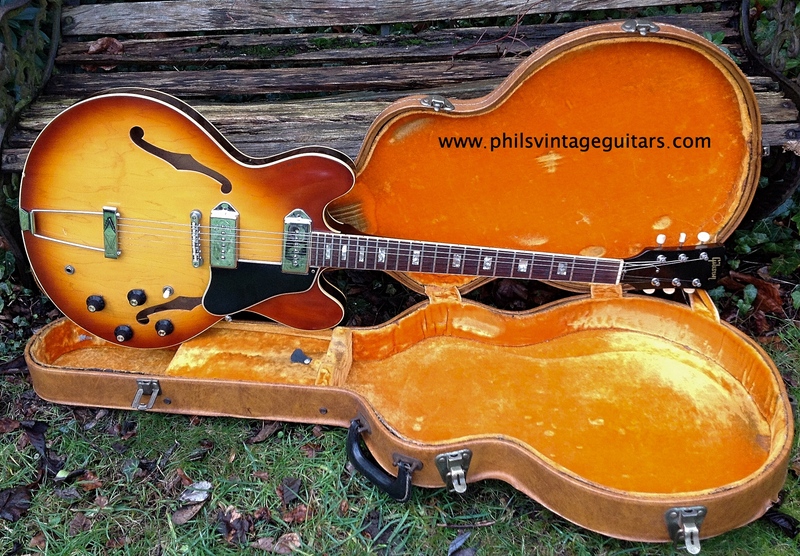 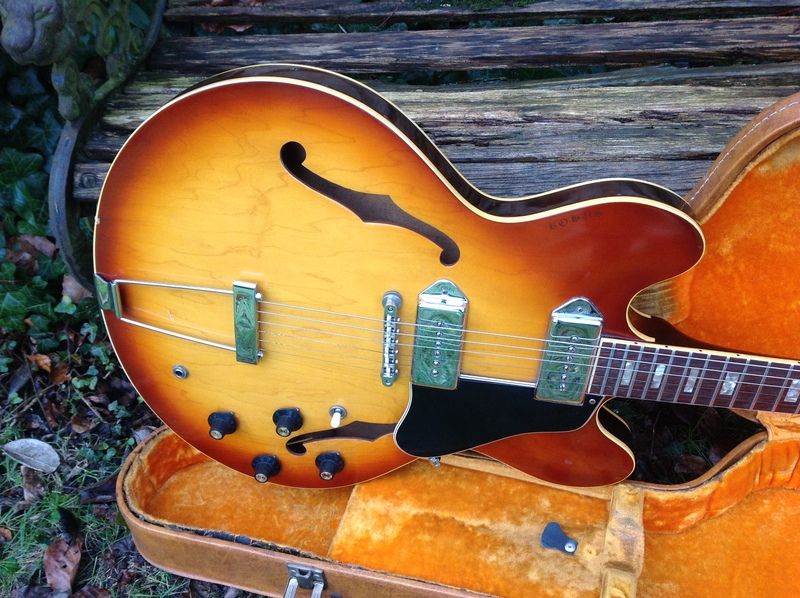 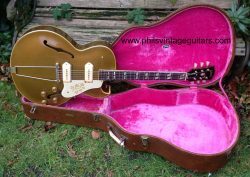 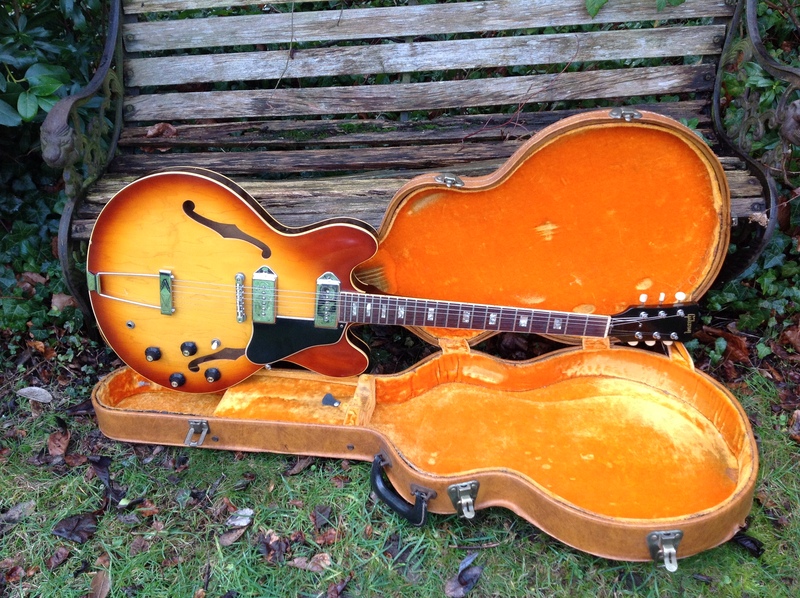 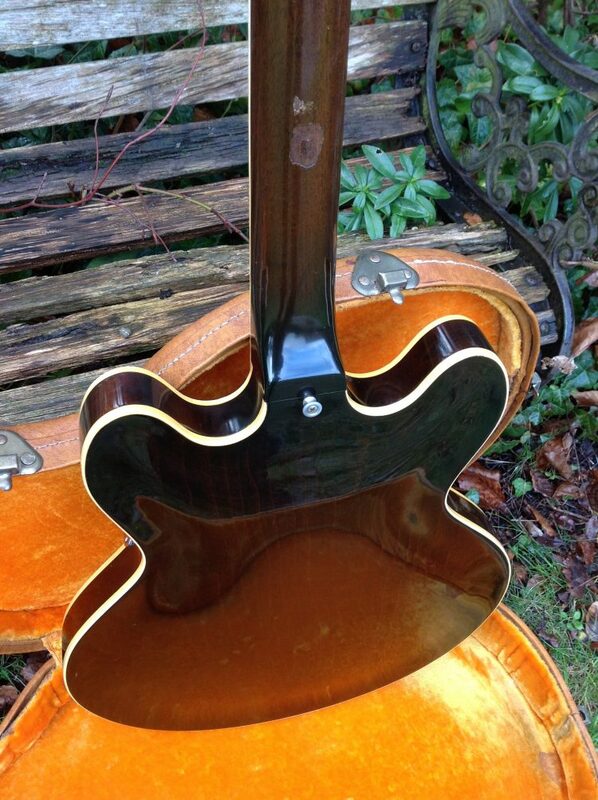 Beautiful long neck Gibson ES 330 TD. 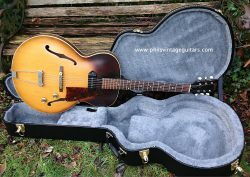 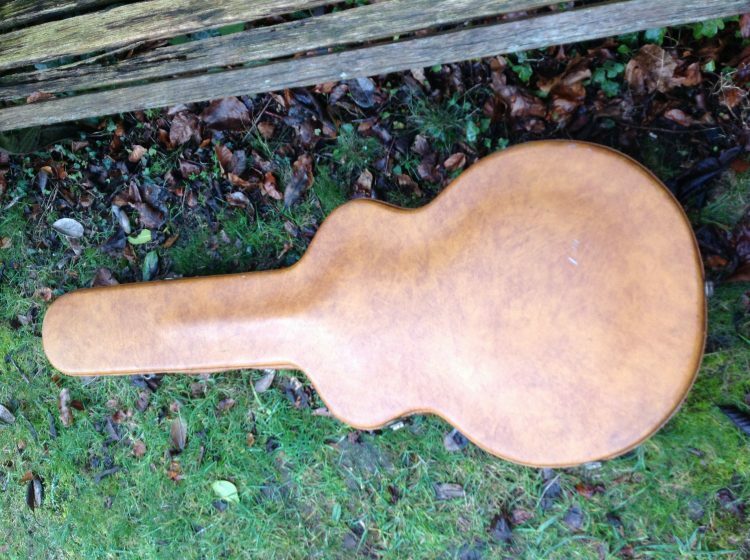 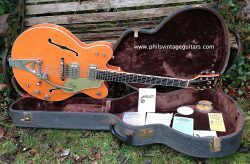 The guitar is all original with normal age related wear on it except for a guitar stand burn mark on the back of the neck and a previous owner has added his name to the top horn “Robbie” which has faded over the years and could probably be polished out if required. 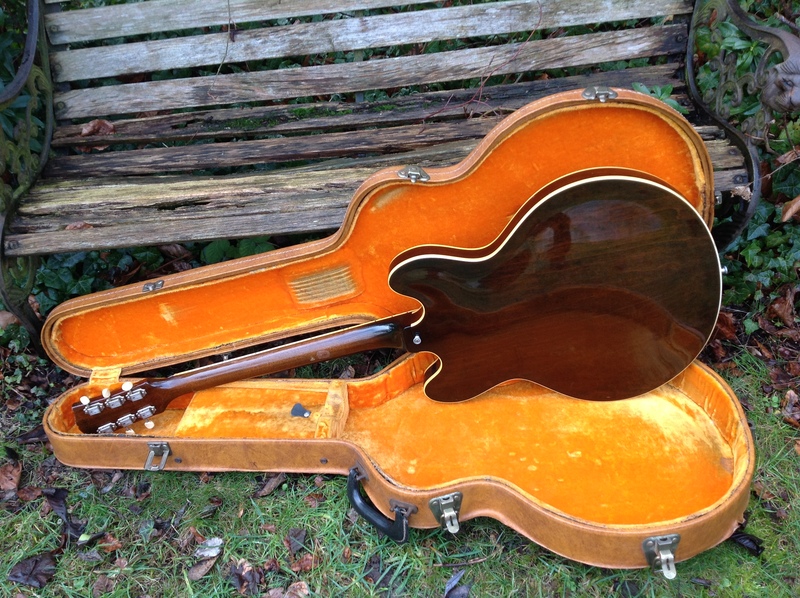 The case is interesting whilst clearly being a Gibson yellow lined case from the period it has a light brown covering. 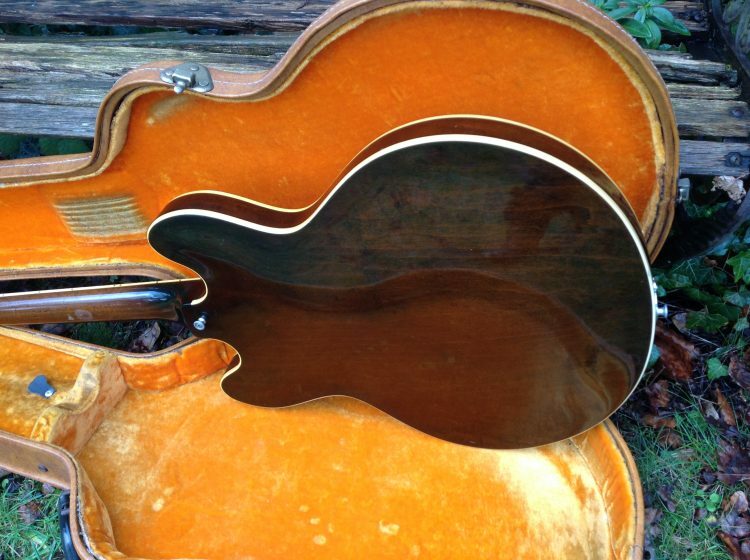 At first i though it had been recovered, but it actually looks factory so maybe an export case of some kind. We think the guitar looks stunning in its 1960’s “tea burst” finish. 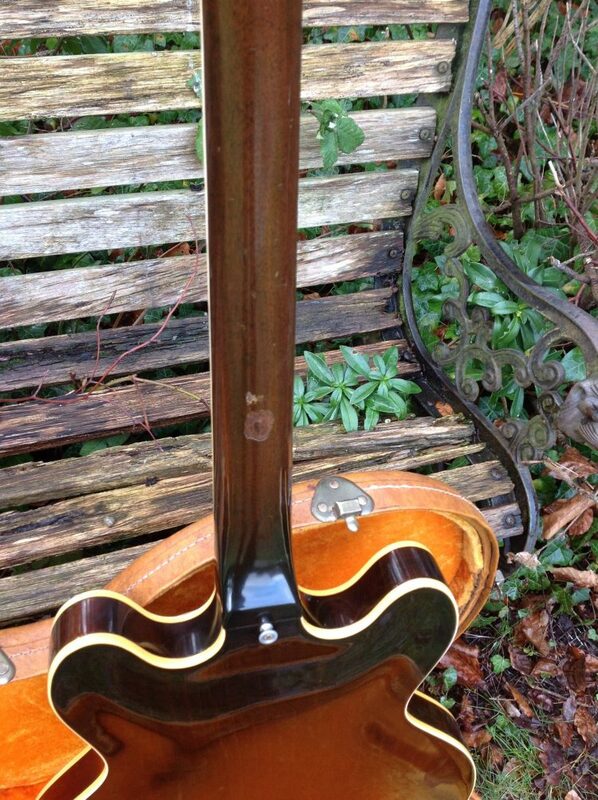 The guitar plays well up and down the neck which joins the body at the 19th fret and has a healthy for the time of era 40mm nut. 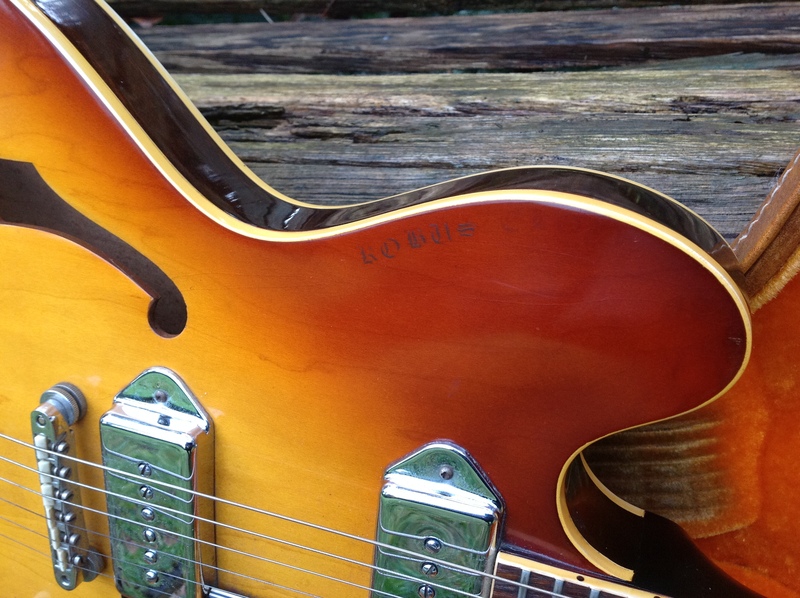 The P90’s are strong in output and well balanced. 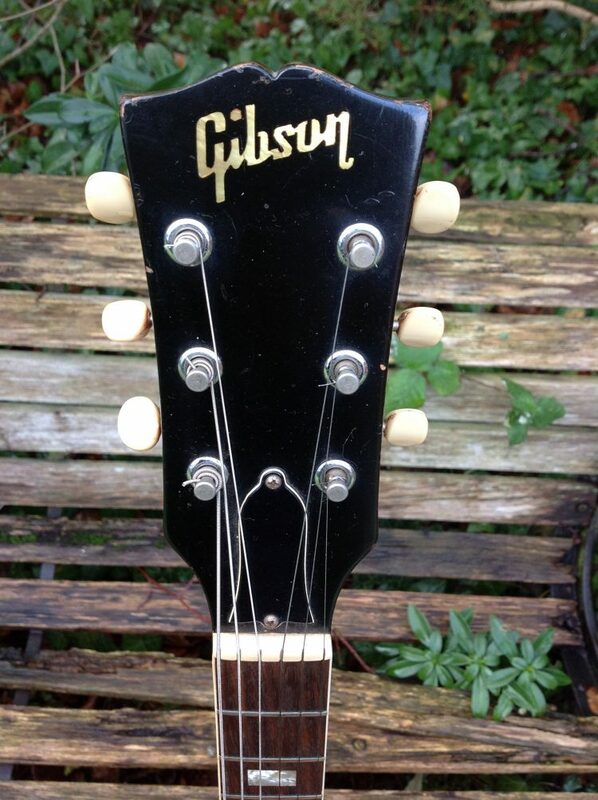 I see no issues breaks or repairs.